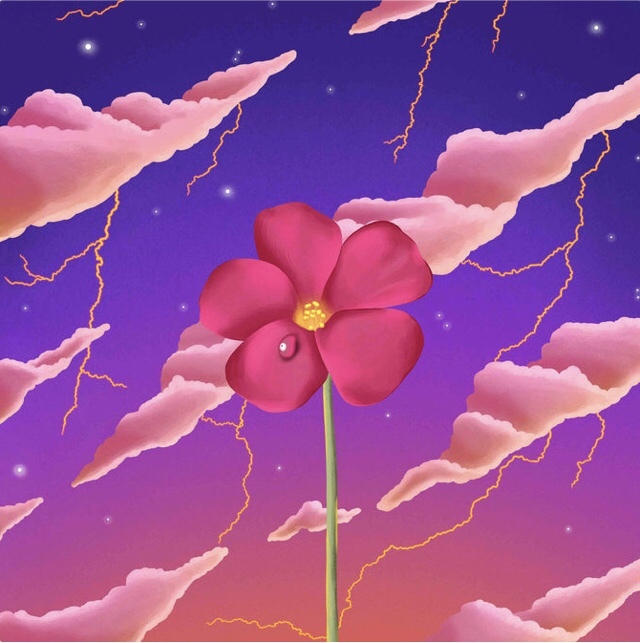 Daydream Masi drops new track, “Nightlife” as part of his new forthcoming project with Interscope Records. Newcomer and Ohio naJve, Daydream Masi, is increasingly favored for his sensiJve electronic, soul and hip hop-influenced sound. The newest signee to Interscope Records became known for breakout tracks “Marguerite” and “Eucalyptus Tree” which have received 443K and 250K listens, respecJvely on Soundcloud. In “Nightlight”, Masi croons “But I know that I got you and I know I got some work to do,” over a high- energy variety of beats. Masi conJnues to sing his soulful, emoJonal lyrics, “I’m in hell without you,” with a complex and tropical producJon aiming to be this summer’s passionate, yet energeJc ballad. He is set forth to release his new project, “Slow Rage”. 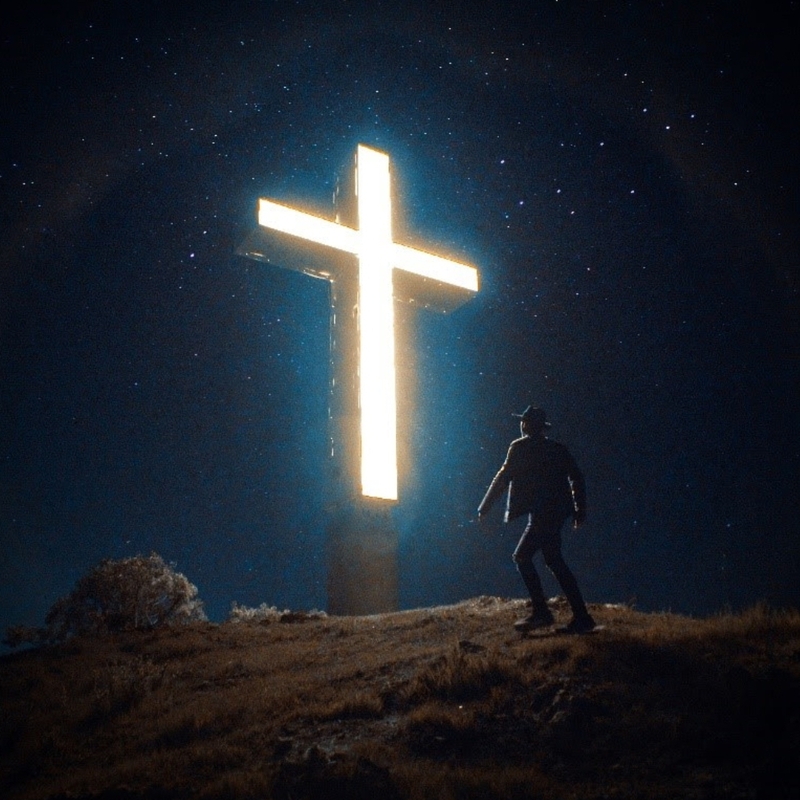 This entry was posted in Uncategorized and tagged 360, 360 Magazine, apple music, Daydream Masi, ep, interscope records, iTunes, Madison Smushkevich, New Release, nightlife, Slow Rage, spotify, track, Vaughn Lowery, vevo, YouTube on April 21, 2019 by wp360mag. The second new track from their upcoming album The Balance [out April 26 on Capitol Records], “Fluctuate” aired for the very first time today on long-time supporter Zane Lowe’s World Record on Apple Music’s Beats 1 and is now available as an instant download for fans who pre-order the album. 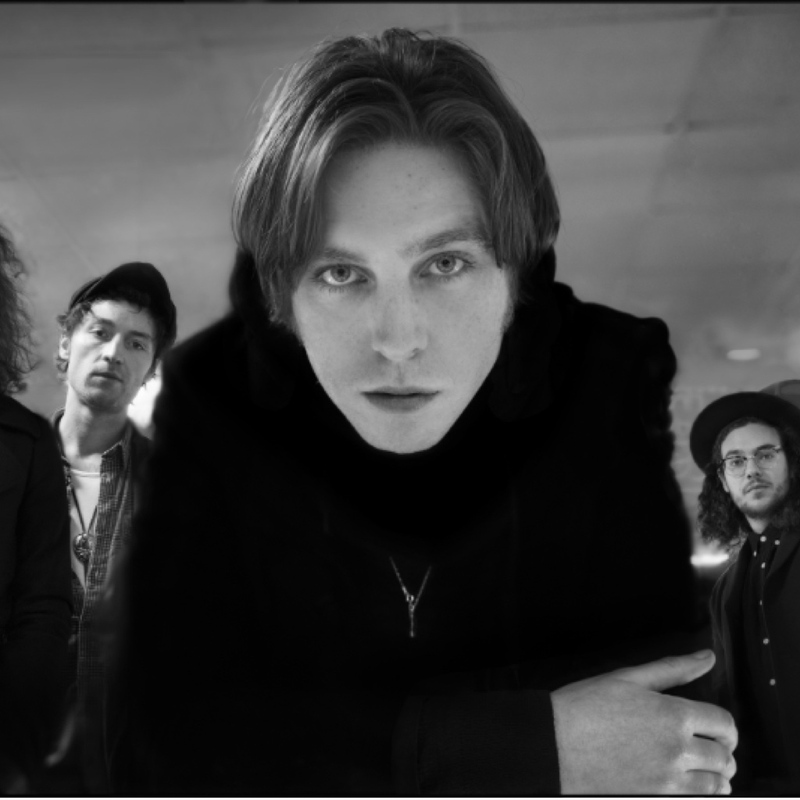 Before its official release, Catfish and the Bottlemen performed “Fluctuate” live throughout summer 2018 as a preview of new music to come, and the song quickly became a fan-favorite. Audiences can expect to hear more new tracks from The Balance during the band’s upcoming U.S. headline tour which kicks off March 12. Less than an hour after going on sale, their show at Brooklyn Steel in Brooklyn, NY on April 3 sold out. Tickets for the remaining shows are available HERE, and full routing can be found below. “Fluctuate” follows the band’s January single release: “Longshot,” which has amassed over 12.8 million global streams and is rapidly climbing Alternative radio charts. The song also scored Catfish and the Bottlemen their highest UK singles chart placing to date. Together with a string of sold-out UK arena dates, the wild reception to their first new music since 2016’s gold-certified The Ride brings renewed attention to the phenomena of the band’s unassailable ascent in the company of a youthful, ever-growing family of fans. In the breaks between their electrifying outdoor and festival shows, McCann (vocals, guitars), Johnny Bond (guitars), Robert “Bob” Hall (drums), and Benji Blakeway (bass) recorded The Balance over a 12-month period in the company of Irish producer, Jacknife Lee. It was recorded in two, secluded studios; Grouse Lodge, in Moate, Republic of Ireland, and The Chapel in the countryside of East Lincolnshire. The album was mixed by Craig Silvey. 4/2 Columbus, OH @ Express Live! This entry was posted in Fashion + Music and tagged 360, 360 Magazine, alternative, amassed, apple music, audience, Beats 1, Brooklyn, capitol records, Catfish, Fluctuate, front man, Global Society, global streams, headlines, iTunes, longshot, music charts, Music Tour, music track, musician, new music, New Song, pre order, radio charts, Reid Urban, songs, the balance, The Bottlemen, tickets, track, track listing, Van McCann, Vaughn Lowery, vision, Zane Lowe's World Record on February 13, 2019 by wp360mag. The ever-so charming teen actress, dancer and pop singer Aubrey Miller just released her own original single “Crossing My Heart.” The upbeat lovestruck pop single, released just in time for Valentine’s Day, is accompanied by a music video that showcases Aubrey’s versatile dance chops.The video was choreographed by Hollywood’s elite dance instructors Kevin & Dea Nguyen and features some of the top youth dancers in the game Saryna Garcia, Jadyn Hernandez and Sheaden Gabriel. Aubrey is best known for her series regular role in Amazon’s Just Add Magic, which will be returning with a new season on February 1st, 2019. She has additionally made her mark on the dance community, often posting renditions of KPop dance routines. Aubrey’s single and music video were influenced by the KPop arts and includes Korean-spoken lyrics laced throughout the chorus as a nod to the KPop community. With this single, Aubrey has taken a step back into the limelight as a recording artist on the rise and a full-on triple threat to look out for. This entry was posted in Fashion + Music and tagged 360, 360 Magazine, Amazon, apple music, Aubrey Miller, Crossing My Heart, ep, generation z, iTunes, Just Add Magic, LP, Madison Smushkevich, millennial, music video, Pop Singer, record, recording artist, singer, single, song, songwriter, spotify, track, Vaughn Lowery, vevo, YouTube on January 29, 2019 by wp360mag. Los Angeles based pop duo Jack & Jack release debut album A Good Friend Is Nice today! 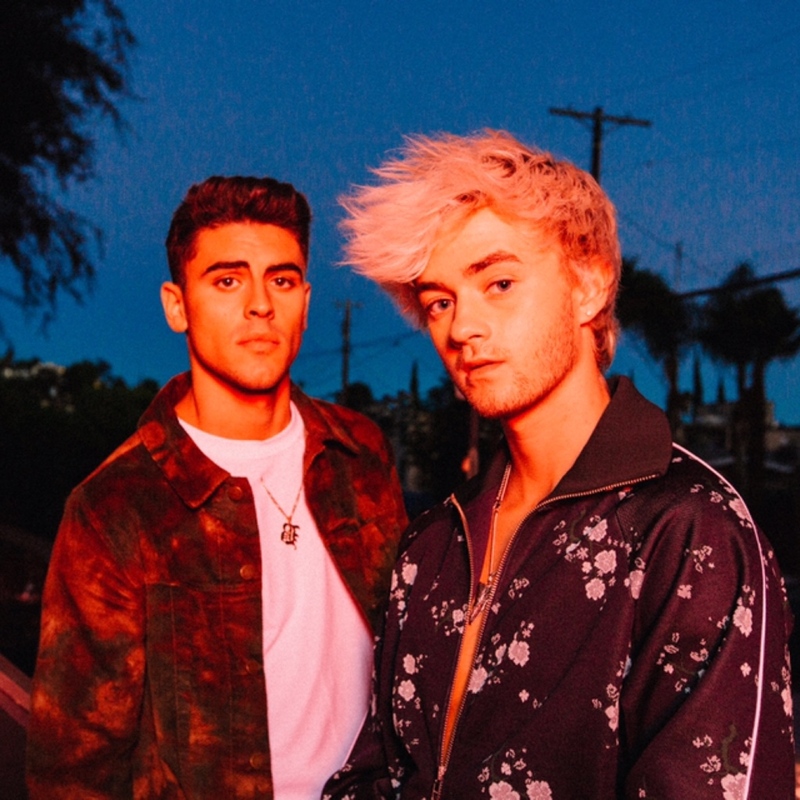 The collection of songs were created by Jack & Jack, with Ed Drewett (One Direction, Little Mix), Asia Whitacre (5 Seconds Of Summer, Hailee Steinfeld/Zedd/Grey), JHart (Justin Bieber, Why Don’t We), Jussi (Bebe Rexha, Kelly Clarkson) and Michael Matosic (LAUV). The duo also made their US late night television debut last week performing the lead single off of the LP “No One Compares To You.” Click HERE to view! The album features “No One Compares To You,” which has over 37 million audio streams and 5 million views on YouTube. The music video was directed by James Larese (Fifth Harmony, Bishop Briggs, Eminem), click HERE to view! “No One Compares To You” followed on the heels of the duo’s hit collaboration “Rise” with multi-platinum artist and producer Jonas Blue. The track, which is also on the album, peaked at #1 on the UK airplay charts as well as on the Billboard Dance charts, went platinum in the UK and Gold in the US, and has surpassed over half a billion streams and over 284 million YouTube views. The video was also nominated for “Video of the Year” for the upcoming 2019 Brit Awards. Click HERE to view the video! To round off 2018, Jack and Jack performed at the MTV EMAs alongside artists such as Nicki Minaj, Bebe Rexha, Halsey, Marshmello, Bastille, David Guetta, and more. The duo also performed at the 92nd Annual Macy’s Thanksgiving Day Parade. In conjunction with the album, Jack & Jack are set to head out on their “Good Friends Are Nice” European and North American tour, set to kick off on February 21st in Amsterdam at Melkweg and wrapping on Sunday May 5th in Omaha, NE at Sokol Auditorium. VIP upgrades including meet & greets for both the European and North American tour are available HERE. Fans can also purchase merch bundles and more on Jack & Jack’s newly launched web-store HERE. This entry was posted in Fashion + Music and tagged 360, 360 Magazine, A Good Friend Is Nice, album, art, artist, Asia Whitacre, billboard, Billboard Dance, charts, Debut, debut album, Ed Drewett, iTunes, jack & jack, JHart, Jussi, Michael Matosic, multi-platinum artist, music artist, music tracks, musician, No One Compares To You, Reid Urban, soundcloud, spotify, stream, track, Vaughn Lowery, YouTube on January 25, 2019 by wp360mag. 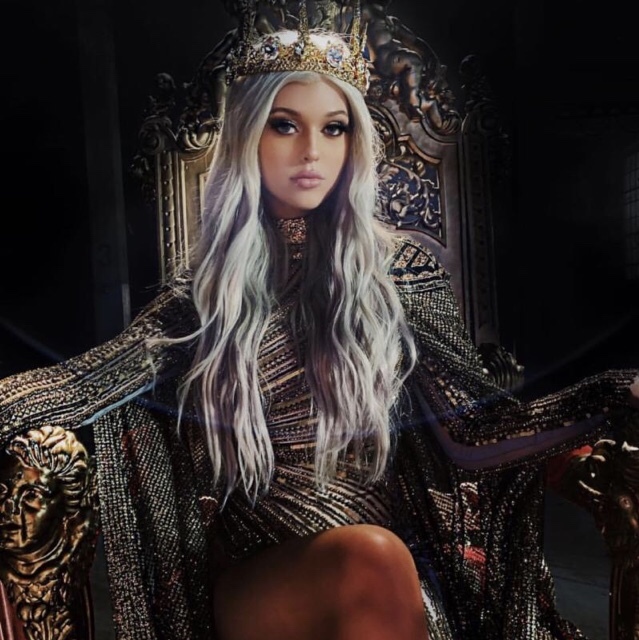 Loren Gray Releases video for “Queen.” The empowering track produced by Captain Cuts (Walk the Moon, Halsey, The Chainsmokers) underscores the importance of knowing your worth in all the different types of relationships you have in life, including your relationship with yourself. This entry was posted in Feature and tagged 360, 360 Magazine, apple music, Halsey, iTunes, Loren Gray, Madison Smushkevich, music video, Queen, spotify, the chainsmokers, track, Vaughn Lowery, vevo, Walk The Moon, YouTube on January 22, 2019 by wp360mag. 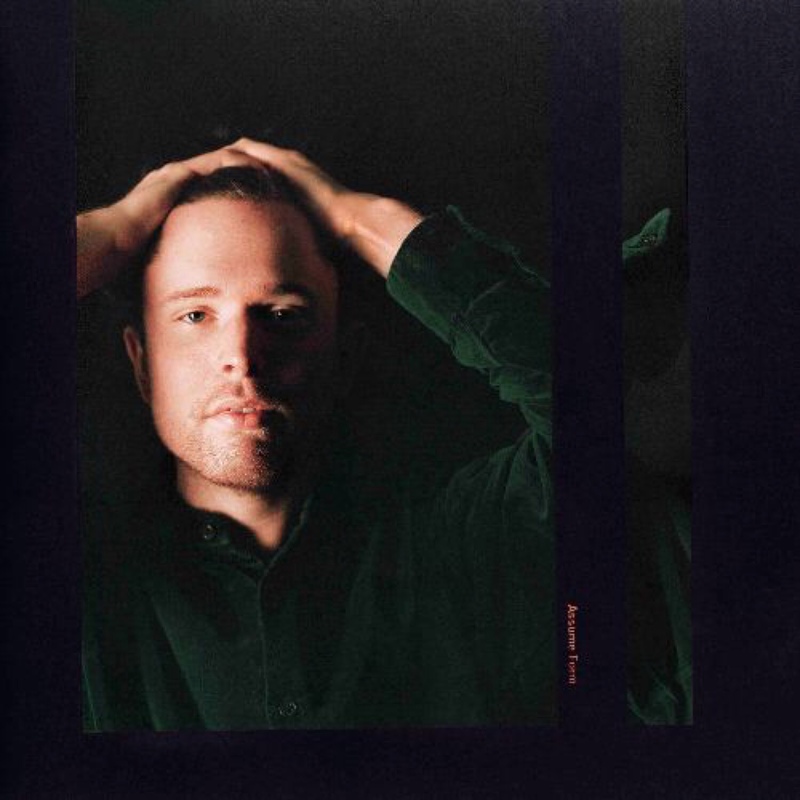 Ahead of the release of his eagerly-awaited fourth album Assume Form tomorrow via Republic Records, James Blake debuts brand-new track “Mile High (ft. Travis Scott & Metro Boomin)” on Beats1 as Zane Lowe’s World Record. Combining Blake’s ethereal cals and Scott’s lyrical prowess, the track offers a refreshing take on love, masking its underlying vulnerability with Metro Boomin’s pulsing beats. Zane Lowe played the song three times back-to-back, raving “James Blake, you’ve done it again,” and assuring his listeners that Assume Form is “going to connect to you, it’s going to touch you no matter where you are and what you’re doing.” Listen to “Mile High” here, and pre-order Assume Form here. Following the announcement of its release last week, Assume Form trended worldwide on Twitter, with Blake experiencing a massive 33% uplift in streaming of his catalogue. Over the past few years, Blake has become one of the most sought-after producers, singers, and songwriters in the music industry, working with top talent including Beyoncé, Frank Ocean, andJay-Z, co-writing and touring with Kendrick Lamar, performing with Travis Scott on the MTV Video Music Awards, and collaborating on the record-shattering Black Panther soundtrack. It is no surprise, then, that Assume Form features an all-star roster that reflects Blake’s continual sonic evolution and blurring of genre boundaries: André 3000, Moses Sumney, Travis Scott, Metro Boomin, and ROSALÍA. Throughout Assume Form, Blake proves himself yet again as one of our generation’s most gifted and influential artists, both as an essential collaborator and as a solo artist at the height of his career. Blake will tour in support of Assume Form on his recently announced headlining North American tour, kicking off in Atlanta on February 18. The 17-date tour will make stops in major cities across the U.S. and Canada including Washington, DC, Philadelphia, Montreal, and 2 nights in New York City, before wrapping in Los Angeles on March 16 (see full list of dates below). Tickets are available for purchase now via http://www.jamesblakemusic.com/. This entry was posted in Fashion + Music and tagged 360, 360 Magazine, album, assume form, beats1, fun, James Blake, METRO BOOMIN, mile high, Moses sumney, music, new, new music, pop culture, radio, Republic Records, Rosalía, streaming, taylor walker, tour, track, Travis Scott, Vaughn Lowery, winter, Andre 3000 on January 17, 2019 by wp360mag. Just recently, Los Angeles-based artist and producer Gryffin has released a new single titled “Bye Bye” ft. Ivy Adara. Released via Darkroom/Geffen Records, the track is available now through all digital retailers. 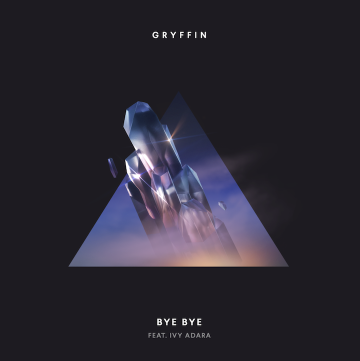 Listen to “Bye Bye” by Gryffin ft. Ivy Adara here! Gryffin has also just announced a December 14th release date for part one of his long-awaited full-length debut, Gravity Pt. 1. The first part of the album will include a sixth single, “Bye Bye,” and previously released singles like “Remember” ft. Zohara, “Just For A Moment” ft. Iselin, “Winnebago” ft. Quinn XCII & Daniel Wilson, and “Tie Me Down” ft. Elley Duhe. “Bye Bye” arrives as the follow-up to “Remember,” an October release praised for its “energetic, funky club floor feeling” by Billboard. With its brilliant balance of massive drums and delicate textures, “Bye Bye” draws a deep emotional power from Ivy Adara’s magnetic vocals. An Australian singer-songwriter, Adara penned “Bye Bye” and has also written for artists like Selena Gomez, Hailee Steinfeld, and Bebe Rexha. Next month, Gryffin will embark on The Gravity Tour, a highly anticipated North American run. Kicking off on December 28 in Pomona, California, the tour also includes stops in Washington D.C., Brooklyn, Chicago, San Francisco, and more. Tickets are on sale at www.gryffinofficial.com. See the full list of shows below. Ahead of The Gravity Tour, Gryffin is geared up for a sold-out show at the Hollywood Palladium just not too long ago–livestreamed by LiveXLive. Born Dan Griffith, Gryffin got his start in music as a classically trained pianist and guitarist, and played in several bands. After receiving an electrical engineering degree from the University of Southern California, he pursused a path in music production, drawing equally from his carefully honed musicality and edgy ingenuity. Gryffin made his breakthrough in 2016 with two singles showcasing his melodic take on dance music: “Heading Home” ft. Josef Salvat (which shot to #1 on Spotify’s US and Global Viral charts) and the Bipolar Sunshine collaboration “Whole Heart.” In addition, his 2017 smash single “Feel Good”– with Illenium and featuring Daya–peaked at #18 on the Dance/Mix Show Airplay charts. Gryffin’s recent triumphs include “Tie Me Down” ft. Elley Duhe, an August 2018 release that hit #2 on the Spotify US Viral Chart and #9 on the Global Viral Chart. He’s not at work on Gravity Pt. 2, which is due out next year. This entry was posted in Uncategorized and tagged 360, 360 Magazine, billboard, Bye Bye, Darkroom, EDC Orlando, Elley Duhe, Feel Good, Geffen records, Global Society, gryffin, Heading Home, Illenium, Iselin, Ivy Adara, Josef Salvat, Just For A Moment, link, music, Quinn XCII, Remember, Tenzin Tsephel, The Gravity Tour, Tie Me Down, track, Vaughn Lowery, Whole Heart, Winnebago, YouTube, Zohara on December 3, 2018 by wp360mag. Just recently, Detroit underground icon Icewear Vezzo returns with a new track European. This is his second release under his recently minted deal with Motown and Capitol Music Group. 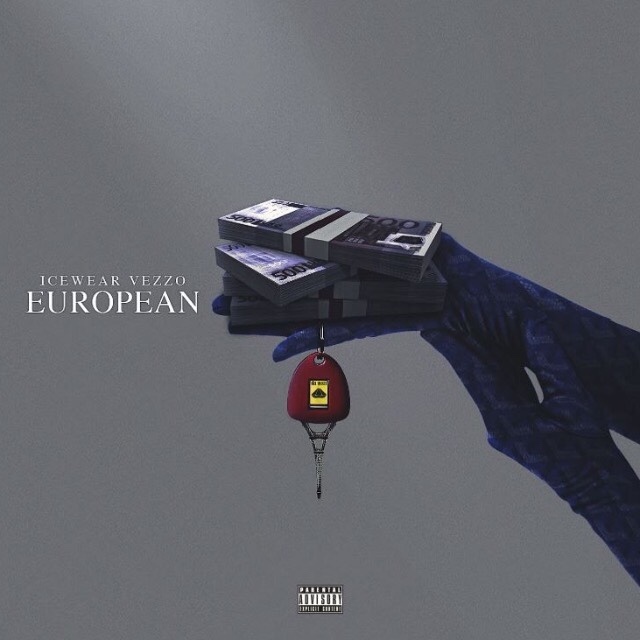 Adding to the excitement for his upcoming mix-tape, Icewear Vezzo celebrates this moment with a music video for European–check it out here! Icewear Vezzo proudly leads a new era of Motor City hip-hop. His explosive discography encompasses the fan favorite Clarity mixtape series and breakout Moonwalken, which boasted beats from heavyweights such as Zaytoven and TM 88. Following a stint in Federal Prison, he ignited 2018 as his biggest year yet. In addition to a triumphant return to the stage at Detroit’s Hot 107.5 Summer Jamz, he dropped the acclaimed 337 EP with Earlly Mac and set the internet abalze with the brash and blunt banger Drank God Back Freestyle. Mass Appeal predicted, Detroit’s best hope at a singular star is Icewear Vezzo, and Hypebeast dubbed him, “The King of Contemporary Detroit Rap.” A pillar of his community, he also owned the local haunt Chicken Talk restaurant. With his surefire spitting and slick storytelling, he ushers in the next generation of Detroit legends. This entry was posted in Feature and tagged 337 EP, 360, 360 Magazine, artist, Capitol Music Group, Chicken Talk restaurant, clarity, Detroit, direct, Earlly Mac, European, freestyle, Generation, hip hop, hypebeast, Icewear Vezzo, legend, link, Mass Appeal, mixtape, Moonwalken, Motown, music, new, rap, rapper, returns, Summer Jamz, Tenzin Tsephel, TM 88, track, Vaughn Lowery, zaytoven on November 18, 2018 by wp360mag. Revolutionary Dallas rapper Bobby Sessions–the firebrand Def Jam MC hot off the title track from the buzzworthy film and soundtrack The Hate U Give–drops his second EP RVLTN-Chapter 2: The Art Of Resistance via Def Jam Recordings. 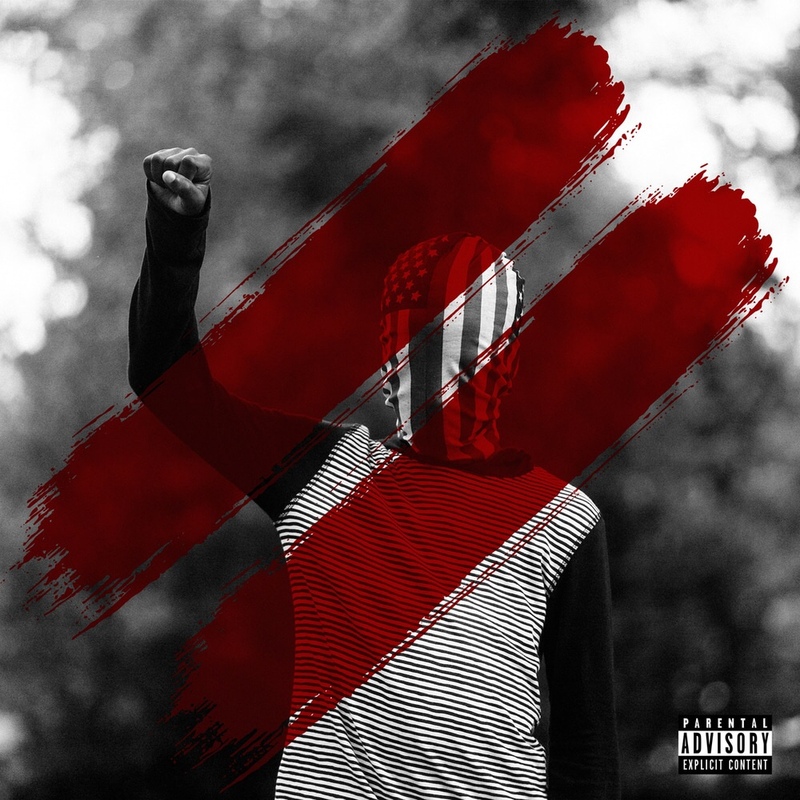 The Art of Renaissance follows RVLTN-Chapter 1: The Divided States of AmeriKKKa (released in July), Sessions’ debut EP, which included his first two Def Jam single and video releases of earlier this year, “Like Me” and “Pick A Side.” With hard-hitting production on The Art of Resistance PicnicTyme, Audio Anthem, and RC Williams, Sessions’ aggressive, authentic, soulful sound harkens back to the roots and origins of classic hip-hop. “My RVLTN EP series,” Sessions has said, “is about taking the politically incorrect conversations from the barbershop and expressing them through music.” He went on to explain that Chapter 1 highlights the root of race issues in this country. It addresses while supremacy, systematic oppression, as well as introspective realizations about the responsibility of becoming a leader. RVLTN will continue to unfold and evolve throughout upcoming chapters in my quest for viable solutions, black empowerment, and justice. In October-November, Sessions was part of the powerful roster of next-generation Def Jam stars–also including Beau Young Prince, Casanova, DaniLeigh, Fetty Luciano, and YK Osiris–presented by Def Jam Recordings in collaboration with DTLR VILLA and Levi Strauss & Co., on DTLR’s 5th annual HBCU tour of Historically Black Colleges and Universities. On December 31, 2014, Bobby Sessions quit his job to pursue his dream of becoming a recording artist full-time. Exactly one year later, he released his debut indie album the Law of Attraction (LOA), a passionate and fiery project influenced by the artists he grew up on as a kid from Dallas, Texas–from Jay-Z to James Brown to N.E.R.D. The hunger he has for motivating people through his words can’t be ignored: it’s in each and every song, interview, and performance. A blistering, concentrated lyricist and speaker, Sessions is constantly focused and determined to attract the energy of those around him–whether onstage performing for fans or in the studio focused on his craft. LOA was followed by a second album, grateful, a jazzy, self-aware reminder to be thankful. “Every freedom, every privilege, every great thing happening in our lives, down to your eyesight, each breath…we should put 100% of our energy into being grateful for that,” Sessions said. His 2018 signing to Def Jam Recordings, and the arrival of “Like Me” and “Pick A Side” early in the year, set the stage for RVLTN-Chapter 1: The Divided States of AmeriKKKa (released in July), and RVLTN-Chapter 2: The Art Of Resistance (November). This entry was posted in Uncategorized and tagged 360, 360 Magazine, AmeriKKKa, billboard, Bobby Sessions, chapter, def jam, dirt on your trophies, empowerment, ep, Feature, gold shackles, Law of Attraction, lights, list, material lies, new, November, NPR Music, on your face, Quote, racial, Recordings, release, response, RVLTN Chapter 2: The Art of Resistance, same oh, Tenzin Tsephel, The Hate U Give, track, Vaughn Lowery, XXL, zyah on November 18, 2018 by wp360mag. Critically acclaimed singer-songwriter Leroy Sanchez will embark on a 14-city tour, kicking off October 17 in Los Angeles, CA in support of his new single and video, “Preacher,” set to release in partnership with BroadbandTV (BBTV) on all digital streaming platforms October 19. Select dates are in support of multi-platinum recording artist Andy Grammar’s national “The Good Parts” tour. Tickets are now available at www.leroysanchez.com. “I have never felt so strongly about a song or the vision for it. It shows a very personal side of me that I’ve never shown before. It’s not easy to be vulnerable in front of an audience, but being honest and facing our weaknesses is what makes us stronger,” says Sanchez. “Preacher” premieres on YouTube on October 19 and is now available to pre-save on Spotify and Apple. Sanchez’s 2017 debut EP “Elevated” has garnered over 10 million digital streams (and growing), earning him two Teen Choice Award nominations and an opportunity to perform with Clean Bandit on the 2017 broadcast. The release of his debut single Man Of The Year received praise from Billboard and People. Over the past 18 months Leroy has grown a devoted fan base performing 100+ showsin over 20 countries, including sold out headline shows in Los Angeles, New York City, Chicago, Toronto, Amsterdam, London, San Francisco, Cologne, Madrid, and San Diego. Additionally, he has toured and worked with many notable industry hit makers, including Machine Gun Kelly, where he’s featured on the rapper’s track “Gone”, and now multi-platinum recording pop artist Andy Grammar. This entry was posted in Uncategorized and tagged 360, 360 Magazine, Amsterdam, Andy Grammar, Andy Grammar's “The Good Parts” tour, Atrin Yazdani-Biuki, BBTV, billboard, Blas Canto, broadcast, ca, clean bandit, Cologne, Debut, El No Soy, Elevated, ep, fan base, Gone, industry, Invisible, Leroy Sanchez, London, Los Angeles, Machine Gun Kelly, Madrid, Malu, new single, perform, pop artist, Preacher, rapper, San Diego, San Francisco, Sanchez, shows, singer-songwriter, single, singles, spain, teen choice award, Toronto, tour, tour dates, track, Vaughn Lowery, Video, BroadbandTV, Chicago, Man Of The Year, New York City, nominations, People, Platinum-certified on October 26, 2018 by wp360mag.